Hi there family, friends and fellow bloggers! I just found out that 95.9 The fish’s christian radio station has chosen me to be a finalist for their next on air host. I am over the moon excited, feeling a lot like Charlie in the chocolate factory yielding the golden ticket! I’ve been praying for a way to share God’s faithfulness to my family for the last year now and it seems my time may near. I need your help!! Please pray for me during this time!!! 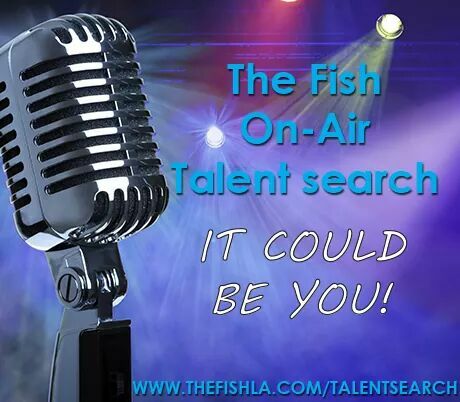 I would appreciate it if you would visit The Fish’s Facebook page https://www.facebook.com/959thefish and scroll down to their talent search post (posted on 8/27/14). Please leave a comment in the comment section, tagging my name, telling them why you’d like to hear me on the show and then share the news! This entry was posted in 95.9 the fish, Christianity, faith, god, Support and tagged blessing, christian, Faith, friends, god, hope, love, prayer, searching, support, wisdom. Bookmark the permalink. You are definitely a talent!